DnBuster's Place: Woolite Complete detergent ~ review! Woolite Complete detergent ~ review! You are probably familiar with common washing problems, such as your favorite dress or T-shirt fading, your blouse shrinking, or your favorite jeans shrinking. Woolite COMPLETE gives all your clothes the right balance of cleaning and caring. It doesn't contain harsh ingredients, so it won't cause stretching, shrinking or fading. With Woolite COMPLETE, you can keep all your clothes looking like new! I received 2 bottles of Woolite Complete from Smiley360 Bloggers program for review. I used 1 bottle for my review and gave a bottle to my neighbor to get her review of Woolite. She has a bunch of small kiddos and they have nice sunday clothes and good clothes that need to stay in great shape and last them for a bit. My neighbor gave the Woolite a 5 out of 5. She has even started using the Woolite to wash her towels and blankets for the little ones. . Meanwhile, At our home, we used the Woolite to wash our sports clothing and sweats. I recently received a pair of sport leggings from Jockey to review. I washed the leggings in Woolite 4 times a week for over 3 weeks. The leggings still look and feel great! 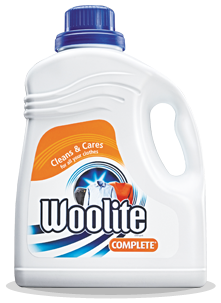 We give Woolite a 5 out of 5. The Woolite didn't fade the clothes and the clothes held their original shape! It is a little pricey for detergent but if you want your clothes to stay in great shape its well worth the cost. Woolite® can give your clothes the best possible care against fiber damages,fading and shape loss. Woolite's formulations are specially produced to not only clean, but also to provide better care against washing related damage than your ordinary detergents. Woolite® effectively removes everyday dirt, while helping to care for your clothes. For Extra tough or dried in stains, we recommend that you pre-treat the stains with a stain remover such as Resolve Fabric Treatment. You can use Woolite® for all your clothes. Always remember to look at washing instructions for your clothes before washing them. disclosure~ I received 2 bottles of 25 load Woolite detergent from Smiley360 in order to write this review. all opinions are my own. Are your children SAFE at school?? Whats for dinner? Hamburger helper is here! !